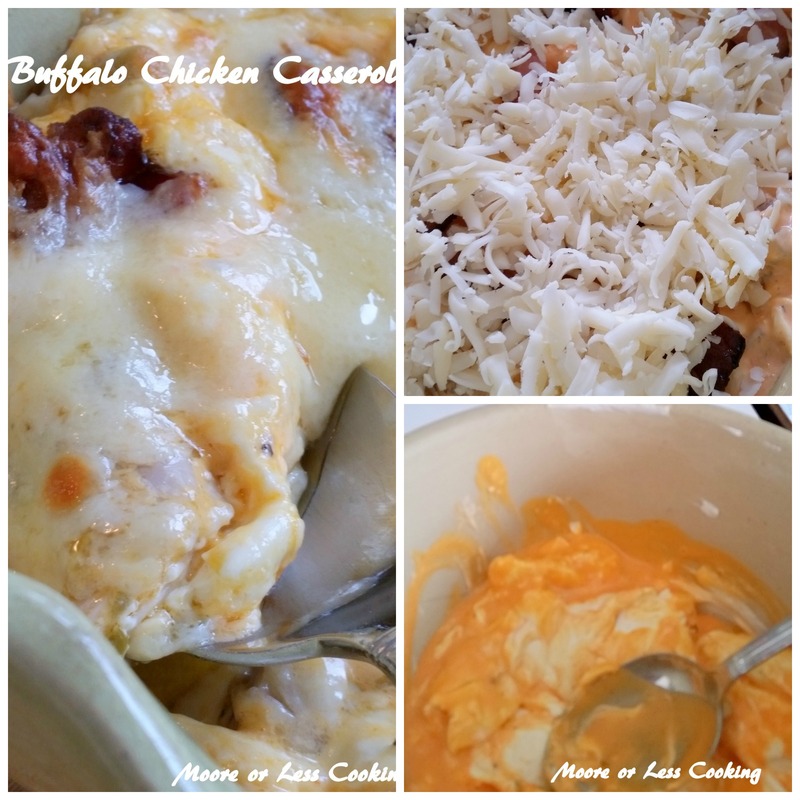 This is the best Buffalo chicken bacon cheesy green chiles casserole! Wow that is a mouthful! 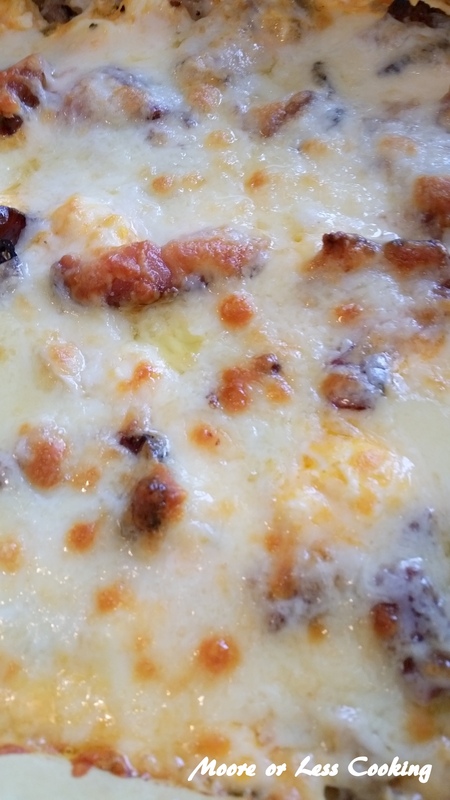 Yes, you will want a mouthful of the delicious casserole. It’s Low Carb, so no Guilt! My family loved it and the casserole dish was scraped clean in minutes! 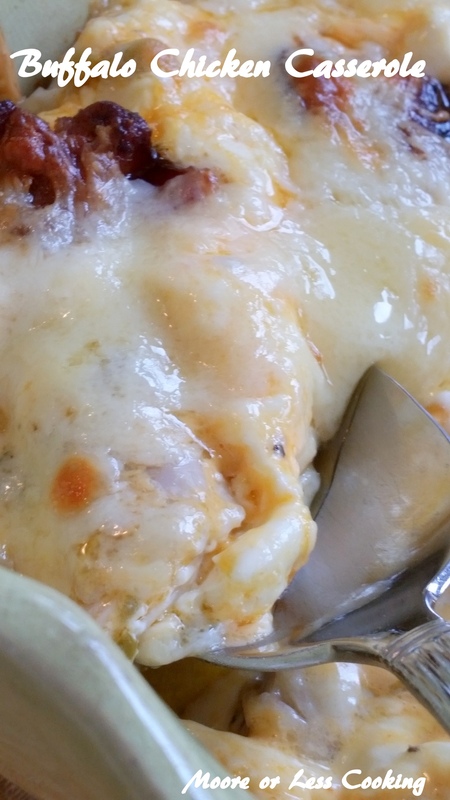 If you love cheesy chicken recipes, you will love this recipe! 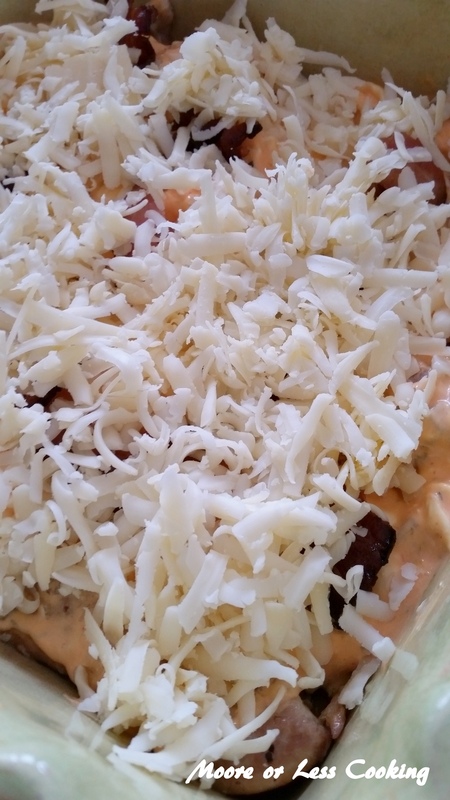 It’s super easy to make, I usually have the ingredients on hand since Buffalo Chicken Dip is my son’s favorite and he requests it on Football Sunday! Chicken thighs, cream cheese, mayonnaise, buffalo sauce, roasted chiles, bacon, cheddar cheese. Drain fat on paper towels. 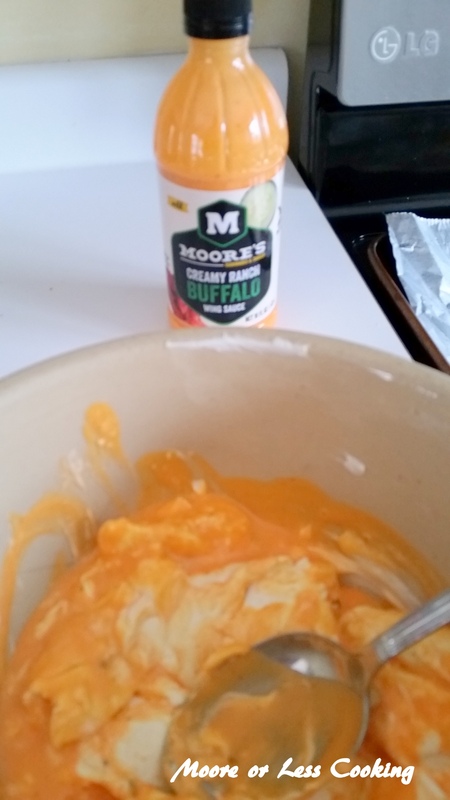 In a bowl, mix cream cheese, mayonnaise, and Moore’s Buffalo Sauce. Add Moore’s Creamy Ranch Buffalo Sauce and Green Chiles. 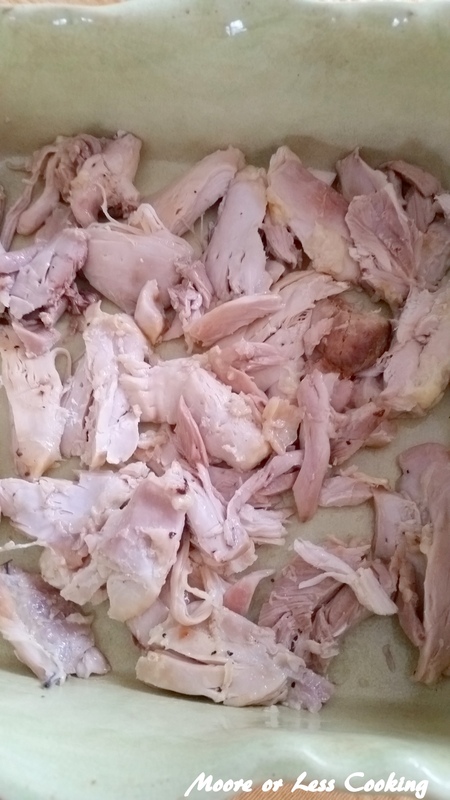 Remove chicken skin and bone. Shred chicken. Place chicken in casserole dish. 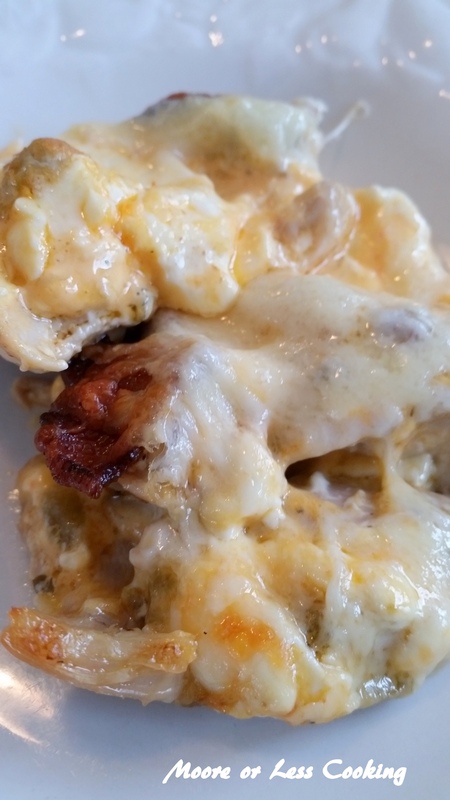 Place crumbled bacon and shredded cheese over cream cheese mixture. Bake in oven for 10 minutes @400 degrees. Turn up to broil for 3-5 minutes. 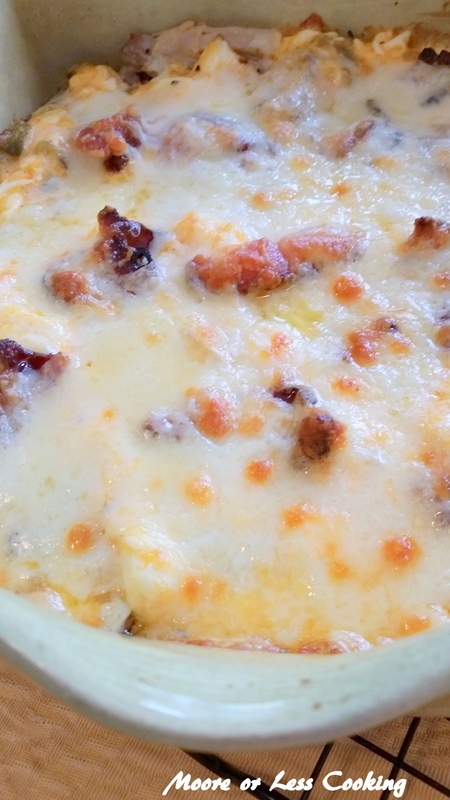 Delicious Buffalo Chicken Bacon Chiles Casserole. 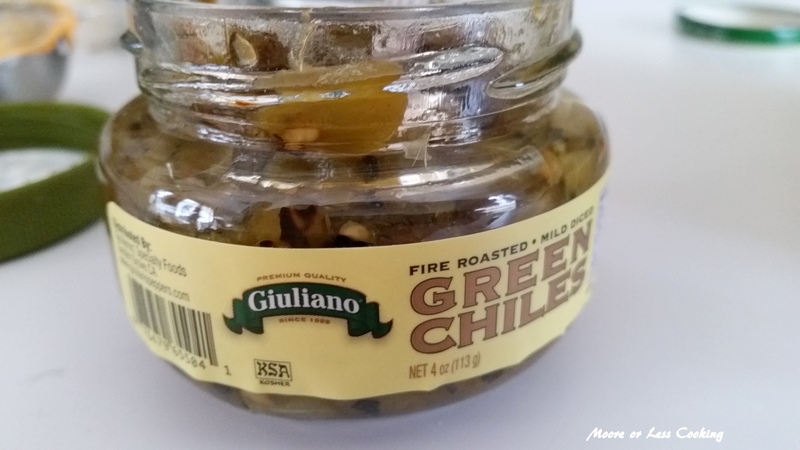 Not spicy! Season chicken thighs well with salt and pepper. 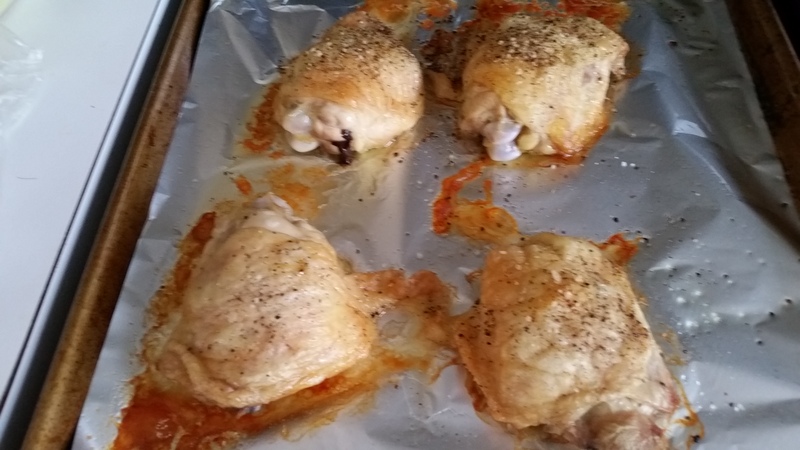 Bake chicken thighs for 40 minutes at 400 F on a cookie sheet covered with foil. 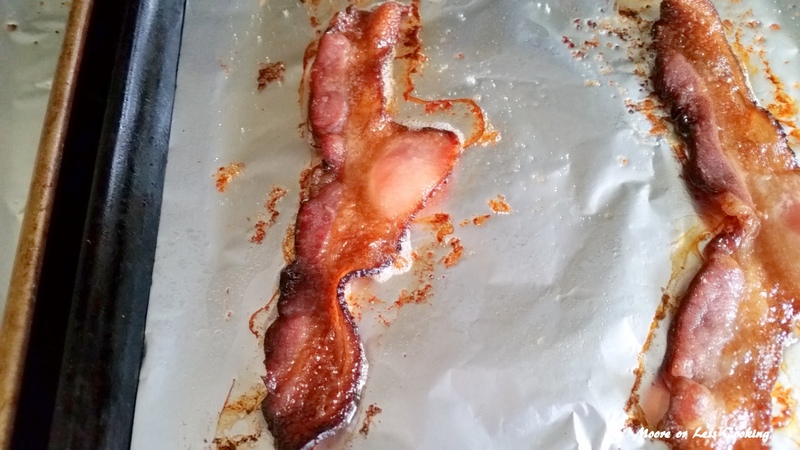 Bake bacon on a separate pan covered in parchment paper while the chicken is cooking for 15 minutes. In a bowl, add cream cheese, mayo, chiles and Moore's Buffalo Ranch sauce. Mix together. Remove chicken from the oven and let cool slightly. Once they are cooled off, remove the skin and bone from the chicken. 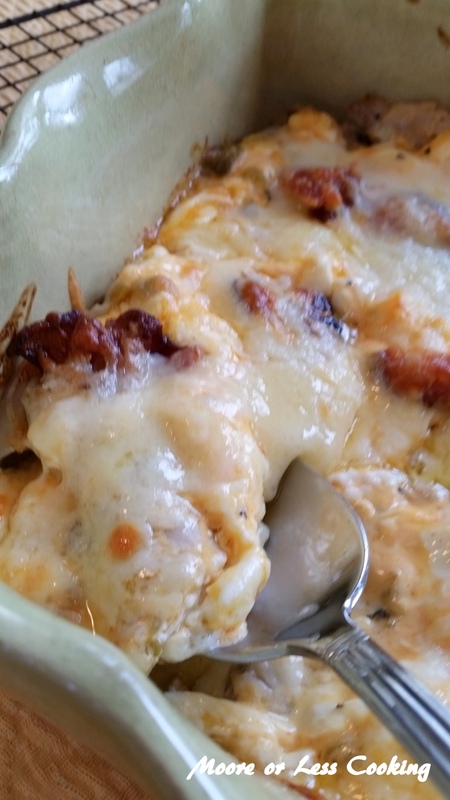 Lay chicken into a casserole dish, then spread cream cheese mixture over it, then top with bacon and cheddar cheese. Bake for 10-15 minutes at 400 F. Broil for 3-5 minutes until bubbly and golden brown. This sounds so good and I can’t wait to make it. However, what if we are unable to find Moore’s buffalo ranch sauce? What ratio of hot sauce and ranch dressing can we substitute? This recipe sounds delicious. I can’t wait to try it! This looks delish! Was the cheese in the pics white cheddar? The recipe calls for cheddar but the cheese is white.